The Santa Fe Police Department Traffic Unit consists of six Motor officers. Their primary patrol Police Unit is a Police Motorcycle. This Unit is responsible for the investigation of motor vehicle collisions and proactive traffic law enforcement. 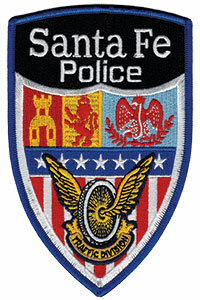 The members of the Santa Fe Police Department Traffic Division are committed to ensure the safe and efficient movement of motor vehicles, pedal cyclists, and pedestrians within the City of Santa Fe and to deliver the finest police traffic services in a manner designed to reduce traffic collisions. The Division will ensure these values through community partnerships, education, investigations, and the direct enforcement of moving violations in a fair, consistent, and courteous manner with empathy, respect, and honor.